The majority of cyclists in the world aren’t racers — they’re folks who simply love riding their bikes. 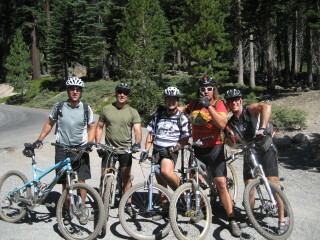 The Fitness Quest Coaches enjoy working with new or returning riders looking gain or improve bicycle skills and confidence, at whatever speed is most comfortable. 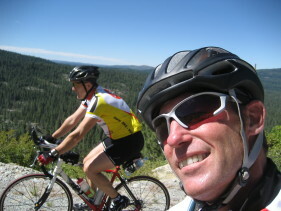 Whether you are an absolute beginner or aspiring to ride an organized event or tour, your cycling instructor can tailor sessions to your needs. Riding lessons are offered one-on-one and for small groups. Getting started: Equipment requirements and recommendations. Bike fit: Be comfortable and enjoy how your bike feels. Pre-ride safety: Learn how to inspect your bike and be sure that it’s safe before you go for a ride. 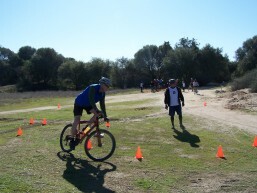 Bike handling skills: Starts/stops/braking, shifting and gear selection, cornering, and more. 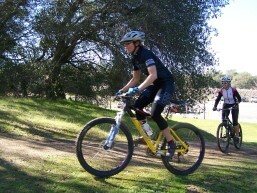 Learn how to use clipless pedals: A must-do lesson for first-timers. Mounts and dismounts: Learn how to get on and off the bike safely. Climbing and descending: Learn the proper technique for going up and down hill. Pedal: Learn proper pedals stroke technique. Bike repair and maintenance: Learn how to adjust the brakes & shifters, how to clean properly, and the best way to fix a flat tire on YOUR bike. Coached rides: Build speed, endurance, strength and dial in your training zones. Bike training plans: Prepare for your event with prescribed distance, duration, frequency and intensity workouts. Mountain bike skills: Front wheel lift, rear wheel lift, obstacle clearing, hills, line selection, and whatever else you need help with! Small group (2-8) sessions: Call for rates. Only $19 for new athletes!